I don't know where to start to describe this awesomeness. We got Lizandro as our tour guide. He's really amazing and a really funny guy. He's really adaptable to our plans and schedule. He's also patient and always stay with our pace. If you want to experience the best time on the trail, I highly recommend Lizandro. Visiting Machu Picchu has always been one of the items on my bucket list. This trip has been amazing! The company is extremely organized - the chef cooked great food every night, the tents were comfortable and camps on the way were also good. 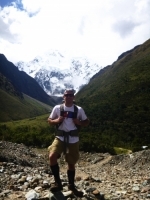 The Salkantay Trek was really tough but super rewarding and AMAZING. This has definitely been one of the best experiences of my life. I've always been afraid of heights and this helped me push myself more than ever before. A wonderfully challenging adventure. My head aches, my stomach is upset, and everything else is sore and dirty, but my spirit is high.The altitude sickness and exhaustion were but a slight damper on an unforgettable experience. We had an amazing walk and a fun time with our guide and our company. 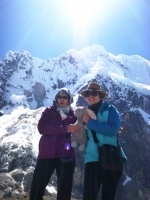 I really enjoyed the summit day and the fourth day where we hiked up to see Machu Picchu from across the way. 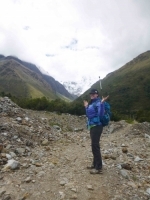 We spent 4 days trekking from the Salkantay to the Machu Picchu. It was quiet challenging for me. We were a small group 7 persons, so it was ok. The organization was nice but we were not always well informed (especially during the briefing). It was very difficult for me but I was lucky to climb on a horse . 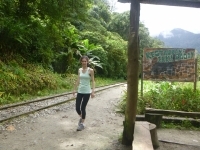 I find the rhythm too quick and difficult to look at the landscape and I took few photos.I think this trekking. it seems to me very poor and in our actual mentality ,but it' s not my way of thinking . 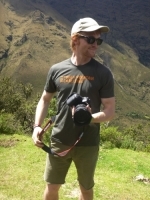 I had a good experience with Inca trail reservations. I had plenty of contact before the trip to make sure my questions were answered. The campsites were well kept and had all the necessities for the trek. Equipment like tent and sleeping bags were good quality. The food was excellent. 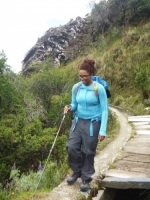 Though there are a number of different treks that arrive at Machu Picchu, options for a relatively rugged experience are limited. 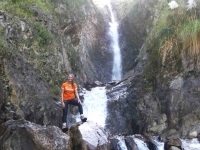 This particular trek was the best of both worlds - breakfast, lunch, and dinner all exceeded expectations whilst the trek itself was more challenging than you might imagine. 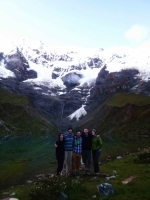 What can I say about my Salkantay adventure with Ramirito, Raul and Daniel ? They are the best. 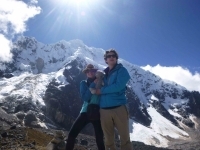 They are some crazy beast mode Peruvian backpackers. They made the trip enjoyable despite the crazy elevation gain on the second day. My hat is off to them. The trip was run by excellent staff who were knowledgeable about local flora and fauna as well as local history. Ramiro was a great guide. He was friendly with a good sense of humor. He out the focus on our experience while maintaining flexible and positive. 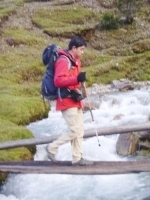 My trek with our guide Ramiro and the gang was a great experience. Ramiro's explanations, commentary, and jokes made it easy for us to quickly feel comfortable around each other. He also had the best recommendations for us for small things like when to take the bus up to Machu Picchu, go to the hot springs, etc. 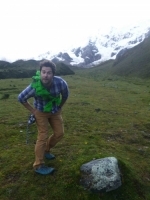 I just finished the five day, four night Salkantay trip and it was fantastic and exhausting. The first two days were a lot of walking and I'm very sore, but Ramiro our tour guide, Raul, our cook, and Daniel, our horseman took care of us. 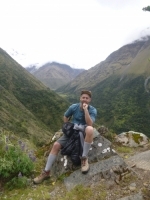 I'd like to give a shout out to Google for recommending Inca Trail Reservations. Upon booking this trip, I had no idea what to expect. To sum it up, this is five-star camping at its finest. 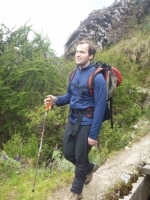 Ramiro exceeded expectations with his energetic and Sherpa-like personality.